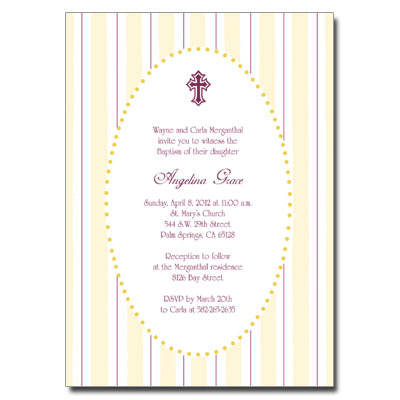 Invite family and friends to your child's Baptism or Christening with this classy little invitation. Vertical stripes printed in golds and burgundy. Card measures 5x7.